You have about reached your wit's end, your teenager is driving you nuts over this holiday school break. The school grades have come in only to find out that your once honor roll student is now failing. They have announced they are no longer interested in the sport they used to love or the instrument they used to play. Their group of friends are changing, their personality has gone from happy to withdrawn and secretive, not to mention the defiance. Typical teen? Maybe, but what happens when it escalates to an extreme that parents feel like they are being held hostage in their own home? What happens when a parent discovers their teen is using drugs? Just marijuana? Just a few beers? Don't be a parent in denial. Be proactive. With the tragedy of Newtown, CT we are faced with so many unanswered questions. The grief of the loss of life is unimaginable - when you look at the age of the children and their protectors that died doing what they were trained to do, it is simply unconscionable that anyone could do such a heinous act. We are hearing issues of gun control combined with mental health. At the end of the day, like teenagers using illegal drugs (and adults for that matter) if someone is determined to find a gun and shoot people, they will. The fact is we need to get people the help they need before they get to the point of wanting to seek out guns for killing - or drugs for getting high. Youth Foundation Success Academy: Teen Help or Not? Parents call our organization on a daily basis. I created my Parents' Universal Resource Experts, Inc since I was duped and my daughter was abused in a residential therapy program over 10 years ago. I have become a voice and some have called me a crusader. I honestly don't care what people call me, what I care about is what parents can learn from the mistakes I have made and gain from the knowledge I have acquired over the past decade. Carolina Springs Academy harmed my daughter - they also lied to me. Duped me - and today they are closed, however they still have other programs operating. Years ago - they had a long list of programs, thankfully today that list is only a fraction long. Today I just heard from a parent that it is believed they just opened another program - or possibly just re-named one of their Utah ones. Youth Foundation located in LaVerkin, Utah is believed to be owned and operated by the same parent organization that I sent my daughter to years ago. In light of the recent tragedy in Newtown, CT - some are screaming for more gun control. I am certainly not an advocate for gun, however I don't believe that is the big issue here. Fact is, most drugs are illegal too - yet we see our kids and adults abusing them. If someone is determined to find a gun and shoot someone - just like if someone is determined to shoot heroin, they will find a way to do it. We need to address the fact that mental illness is a major concern for people and parents. I know I have parents call and need help with their teens. Whether you have health insurance or not, you should be able to get mental health assistance. Though many parents don't want to believe their teen would self injure themselves, many more are realizing it is their teenager that is actually cutting. Why? Peer pressure?Depression?Drug use?Anxiety?Stress? According to experts, one of the most common reasons teens self injure is because the injury is in some way a “release” from emotional anxiety. The pain of the injury provides a distraction from the emotional pain the teen is feeling, and acts almost as a drug to them. It can also help the injured feel ‘human’ again, by putting them in touch with a common human experience: pain. If you discover that your teen is cutting, there are several important keys to remember. First and foremost, approach your teen with a level head. Address your teen calmly and supportively. Do not react angrily or upset your teen in any way. When it comes to sending your child to residential therapy it is probably one of the hardest decisions a parent can make. It just doesn't seem normal to send your teenager to a behavioral modification program. Let's face it - we all know that sending them to college is part of the circle of life, but no one prepares us for the potholes that some families face - residential treatment centers. As the holidays approach a teenager's behavior can sometimes escalate and this can leave a parent with a decision that they don't want to make. How can they send their child into a teen help program during this time of the year? Being a parent of a teen is hard enough - when the holidays come along sometimes the stress can be overwhelming. Are they driving you to your wit's end? When a teen threatens to runaway or actually does, it can be a parent's nightmare. It seems a teenager doesn't seem to realize that holidays are supposed to be a time of joy. Red River Academy: Teen Help Program or Not? 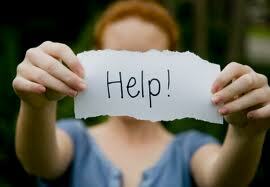 Searching online for help for your troubled teen? 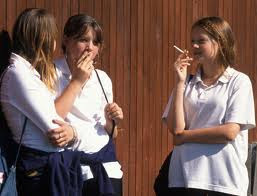 Maybe they are not troubled, they have always been a good kid, but now they are making some really bad choices - hanging with the less than positive influences - smoking some pot (not to mention the cigarettes) - drinking - and starting to fail in school. We have even watched our teen drift away from the things they used to love such as sports, dance, music, hobbies, etc. Defiance, lack of respect, underachieving, withdrawing from family activities, and simply a child you no longer recognize - where did your happy toddler go? This scenario is very common, it happened to me over a decade ago - and is the reason I created my organization - Parents' Universal Resource Experts. I don't want to rehash my story here, you can read it on www.aparentstruestory.com or in my books Wit's End! 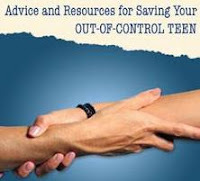 Advice and Resources for Saving Your Out of Control Teen. First semester of school is coming to an end. You realize that your teen is failing - and may have even discovered they are experimenting with drugs - smoking pot, drinking - and now you are thinking - "is this a phase?" "is it their friends?" "typical teen?" Sure - all is possible - but why risk it? Getting your teen the help they need is a parent's responsibility. I am not saying that rushing into a residential treatment center is your first option - on the contrary, it is your last. You need to exhaust all your local resources first. Therapy, peer support groups, maybe outpatient, living with a relative, youth counselors..... If the behavior continues to escalates you can't be a parent in denial. Once the therapy isn't working - your teen is actually holding you hostage in your home - and taking control of your family - you literally feel like you are walking on eggshells - you have to reach out for help. Recently it was brought to my attention from a parent that I helped several years ago, she was reading a series of articles on abuse and neglectthat happens in residential programs for teens and kids. We are in 2012 - a time when you would think that transparency of all schools and programs should be a given. Unfortunately, like I also learned the hard way, when it comes to the big business of "teen help" and parents are at their wit's end - they can fall prey to most anything that sounds like relief. This is one of the reasons I created my organization, Parents' Universal Resource Experts, Inc (P.U.R.E.) I felt there wasn't any place I could turn that could give me reliable information. Parents' Universal Resource Experts, Inc was created after I was duped online by trying to get my own daughter help. I was a parent at my wit's end. I was vulnerable - I was scammed - and my daughter suffered the consequences. Many people have asked about her, and she is now a grown woman, successful in her career and has two children of her own. We have overcome the hurdles - not because of the horrific program she went to, but in spite of it - and because of the fantastic help we found after it to help de-programize her from the damage they did to her. 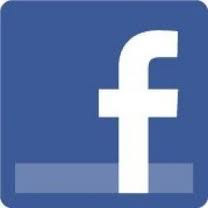 Enjoy this article -click here. Teen depression, sadly, is common today. Feeling good has a lot to do with the choices your teen makes regarding their health. The life of a teen is filled with choices, and most teens do not base decisions on their health, future, or long-term risks. Keeping up teens' health ultimately falls on the parents' shoulders, even though most teens are already making many of their own choices. Many teenagers think they are invincible, and are always looking for the next thrill. While the stunts that were tried 10 to 20 years ago may have seemed daring and dangerous at the time, teens today are pushing the envelope in even more dangerous new ways. Parents truly need to be aware of the risky things that some teens are doing. Teen Drinking: Why do teens drink? And the ONE RULE you need to follow to stop it! Teens often indulge in a “pre-game” drinking binge before parties or sports events. Large quantities are consumed quickly in order to sustain a sense of inebriation over many hours. The point of a pre-game binge is to achieve inebriation before an event where access to alcohol and drugs will be restricted. Pre-gaming is especially dangerous in that it often occurs in a vehicle. Although drinking can occur during the drive to the event, teens may also drink in the parking lot of the event venue. Alcohol can also be smuggled into venues, disguised in water bottles or hidden inside large purses or jackets. The Parent Game Plan: Before parties and big events, be involved as your teen prepares. When possible, drive your teen and his friends to the venue. As always, be honest with your teen about the dangers of drinking and your stance on the issue. You have finally reached your wit's end. It has come to a point where you have exhausted all your local resources. The one on one therapy is no longer working, if it ever did. The fact is, it is a fight to even get your teen to attend a session. If you do get them to attend - how many times to they actually manipulate the therapist to actually believe there isn't an issue at all...... in some instances the blame can come right back to the parent! Yes, manipulation of a teen is priceless. They are the best at what they do. However now is the time for the parent to be the best at what they are - a parent. Today, roughly one out of three teenagers knows someone who has abused over-the-counter (OTC) cough medicine to get high. Studies show that abuse of prescription and OTC medicines is a problem among today’s teens. Teens might abuse OTC cough medicine because it is affordable and easily available, and teens may believe it is “less dangerous” than illegal drugs. Today, roughly one out of three teenagers knows someone who has abused OTC cough medicine to get high. While millions of Americans rely on OTC cough medicines containing the cough suppressant ingredient dextromethorphan (DXM) for cough relief, some teens ignore labelling instructions and intentionally take large amounts of DXM – sometimes more than 25 times the recommended dose of these medicines – to get high. This means some teens ingest multiple packages or bottles of OTC cough medicines. Learn the side effects and warning signs to make sure OTC cough medicine abuse does not go unnoticed in your home. Let's face it, as parents we hope and pray that our teenager will grow out of that defiant behavior. This age of entitlement and spoiled rotten brat syndrome is getting worse by the day. The only refreshing thing is to know you are not alone! Though it doesn't make it easier. One thing I can't stress enough is parents can't ignore the warning signs of a teen going down a negative road, especially if they are in their late teens. Remember once they turn 18 they are no longer in your control - though they may still be living with you, you can't force them to get help. High school can be hard for anyone; it doesn’t matter if your teen is the captain of the cheerleading squad or the chess club. There are many factors into teens becoming depressed like lack of self-esteem, bullies, hormones or an unfortunate event. 1. Chooses to stay home: Teens typically spend their youth hanging out with friends, going to movies and the mall or over to a friend’s house. If your teen has been choosing to stay home and without friends, this could be a sign they aren’t happy. It’s normal for a teen to go through friendship changes but if you think it is something more, talk to your teen. It’s no secret that students cheat. On exams, on papers, on projects: no matter the assignment, someone out there has figured out a way to cheat on it. And the statistics are alarming: two out of three college students admit they have cheated on homework, and 19% have cheated on exams, according to a recent study. View slideshow:Back to School: Common cheating habits Whether it’s because of shifting morals or access to technology, it’s clear that cheating is as prevalent as ever. If you’re a teacher who wants to crack down on cheaters or a student who wants to take the easy way through school (shame on you! ), these are the most common ways students around you are cheating.